Jeffrey A. Edgerton was born in Silverton, Oregon in 1963, and grew up in Canby, a rural suburb of Portland. Interested in science as a boy, Edgerton graduated from high school in 1981 and spent two years at Clackamas Community College. In 1983, he transferred to Oregon State University, where he majored in Microbiology and began to develop an interest in food science. Following the completion of his undergraduate studies in 1987, Edgerton engaged in private sector laboratory work at Prepared Media Laboratory and, later, at Reser's Fine Foods. Edgerton entered the brewing industry in January 1989, when he was hired by Blitz-Weinhard, then based in downtown in Portland. Originally a staffmember in the Blitz laboratory, where he analyzed hops as well as the beer that was being produced, Edgerton gradually began educating himself about the art of brewing beer, partly through enrollment in master brewing courses. 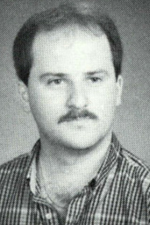 In the mid-1990s, Edgerton moved into the Blitz-Weinhard microbiology department and was named company microbiologist. In 1998, Edgerton left Blitz-Weinhard to accept a position as quality assurance manager at BridgePort Brewing, which is also based in Portland. He served in this role for six years, during which time he focused on improving the consistency of the company's beers. The era also coincided with explosive growth for BridgePort specifically and, more generally, for the region's craft brewers as well. In 2004, Edgerton was named assistant brewmaster at BridgePort and subsequently increased his involvement with the regional chapter of the Master Brewers Association, ultimately serving as Northwest District president. 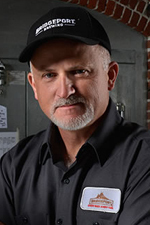 In 2010, he was promoted to brewmaster and general manager at the company. Under his leadership, BridgePort won a gold medal at the European Beer Star Awards in 2012. The following year, BridgePort and the Hillsboro Hops minor league baseball team also forged a partnership. Not long after becoming brewmaster, Edgerton also sought to strengthen BridgePort's connection with the Fermentation Science program at Oregon State University. This relationship allowed the company to use OSU's test facility, and also resulted in internship opportunities for OSU students studying in the program. A highlight of this collaboration came about in 2014, when a beer brewed in tandem with OSU students received a gold medal at the European Beer Star competition. The next year, BridgePort's parent company donated $1 million to further support Fermentation Science at Oregon State.